RingSlingBabyCarriers.com: What's The Importance Of Tummy Time For A Baby? In the past parents were told not to place their baby on his/her tummy to sleep because it was not safe. However, now they say it is good for baby to spend some time on their tummy to help strengthen their neck muscles. 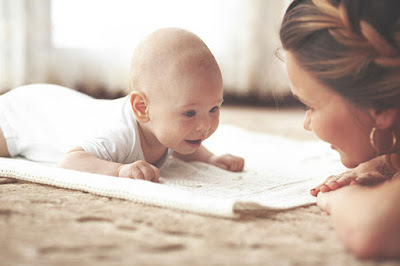 This article provides helpful information about the benefits of placing your baby on his/her tummy for a period of time. You can read this complete article here. I hope you found this article on baby tummy time to be helpful. I also hope you take this opportunity to visit my website (store). We offer Hotslings Adjustable Pouch, Rockin Baby Pouch, Rockin Baby Ring Sling, Seven Everyday slings, and Lil Cub Hub Convertible Baby Carriers in a wide variety of fabrics and colors. Thank you for visiting my blog and hopefully also my website.